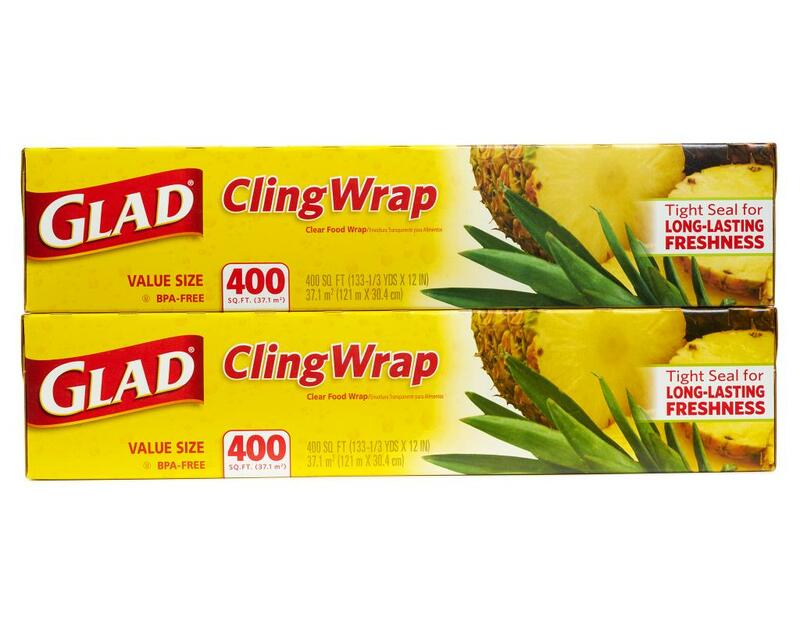 Glad ClingWrap, clings tight without a fight. 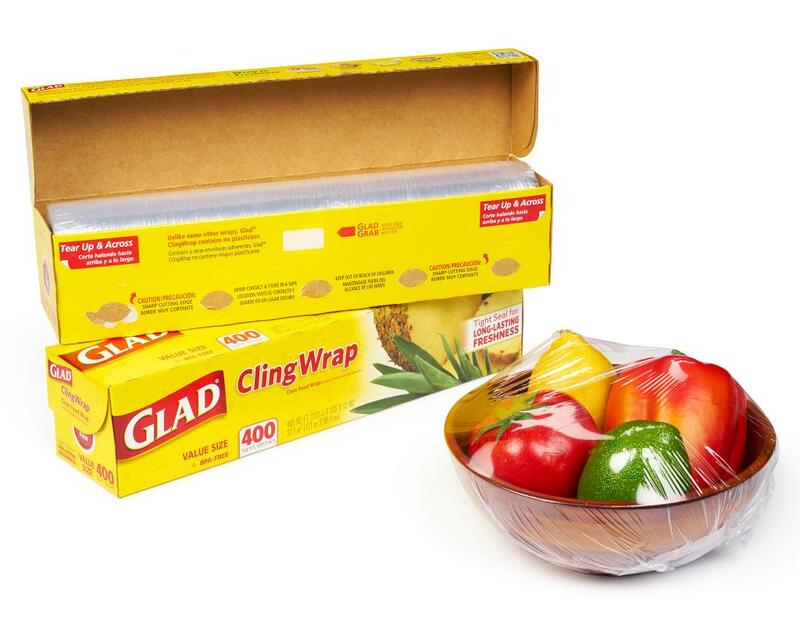 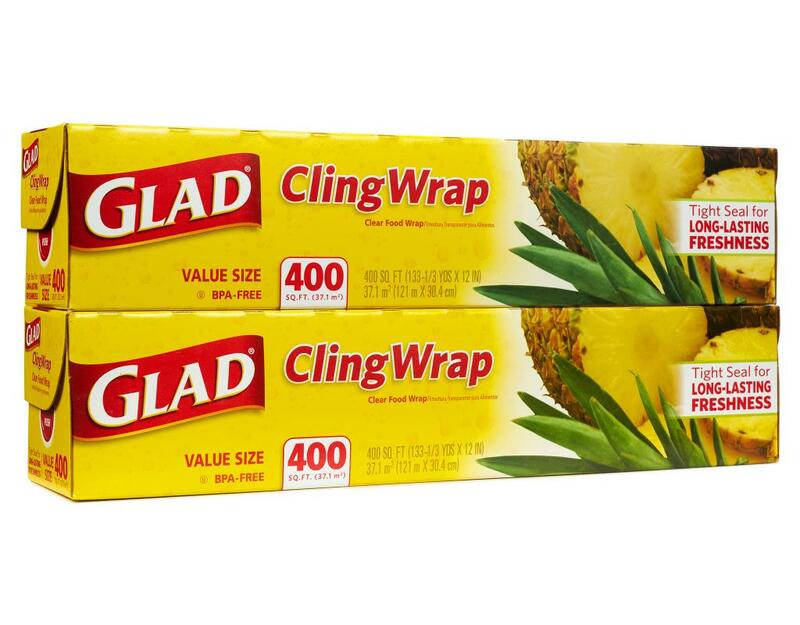 The versatile Glad ClingWrap grips tightly on a variety of surfaces to help keep food fresher, longer. This plastic wrap is easy to handle and microwave‐safe, so you can reheat without fear. 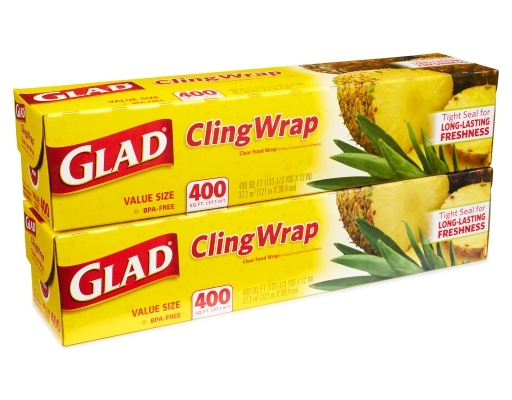 Glad ClingWrap contains no plasticizers. 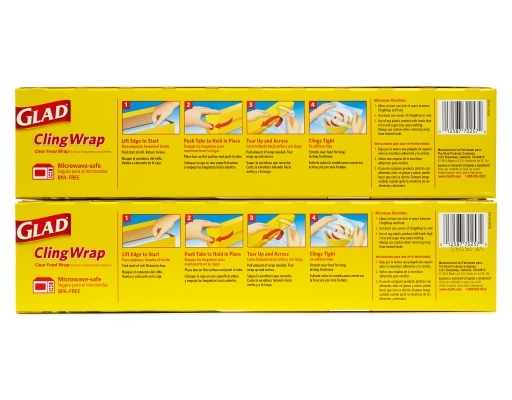 2 x 400 sq. ft.